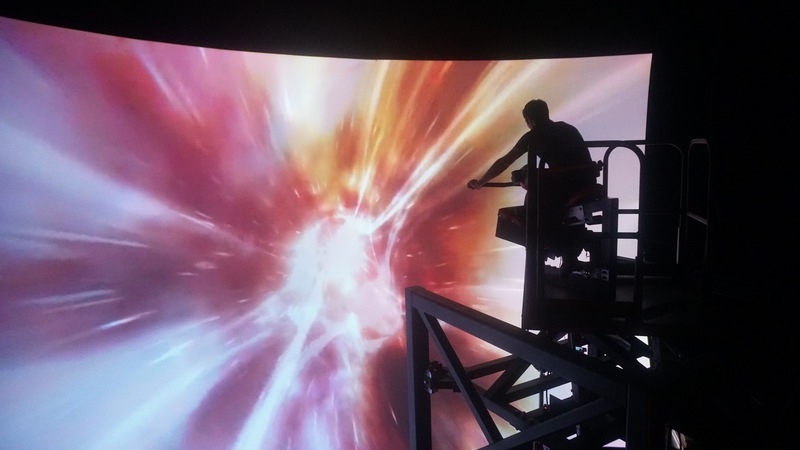 Flying theaters are about to enter a new level. When Disney California Adventure opened in 2001, Soarin’ Over California was the breakout hit everyone kept talking about. 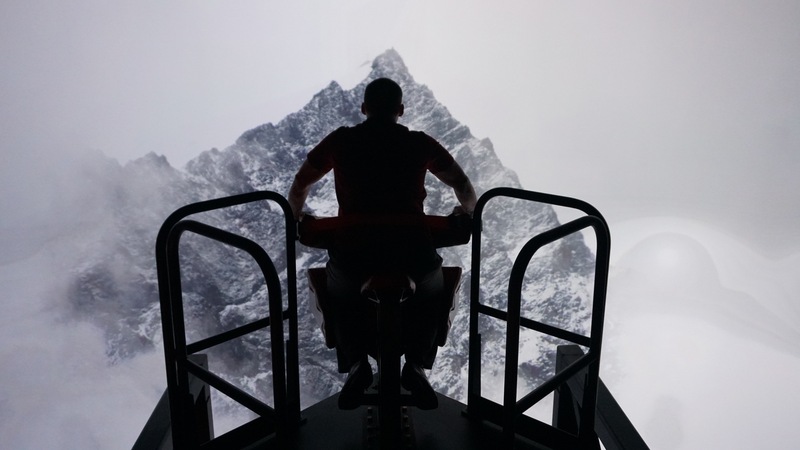 Simulators had been around for nearly two decades at that point, but creating a hang gliding experience where riders were thrust in the middle of a screen and enveloped by the action was considered revolutionary. Flying theater hang gliding attractions have been duplicated around the globe, not just by Disney, but by many many others as well. They remain extremely popular and it makes one wonder, what’s the next step in flying theaters? Enter Flightcycle from Dynamic Attractions. The Flightcycle ride system straps riders on a motorcycle-like vehicle that allows for a more thrilling adventure. 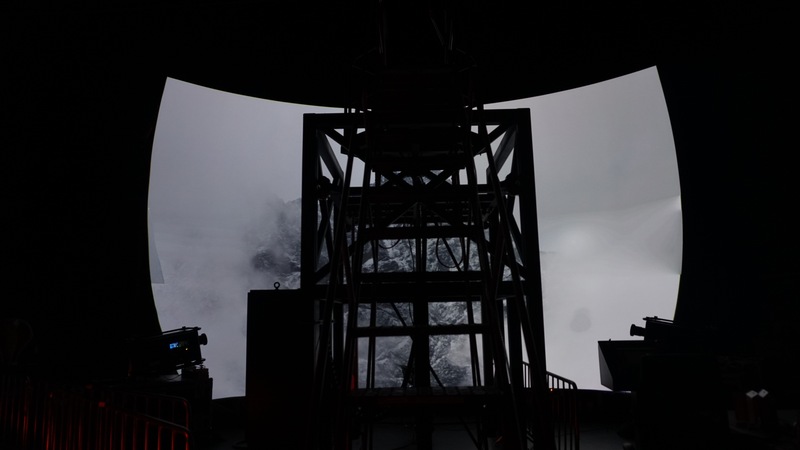 Unlike sitting in a hang-glider where your feet dangle, in this ride system, the movie envelops you and the experience becomes far less passive. Simply being seated in the position of crouching forward and grasping the handlebars, your brain expects you to fly at twice the speed you would in a passive hang gliding experience. This allows you as an individual to have a more intimate and thrilling ride than a traditional hang gliding experience. What makes this particular ride system unique versus a hang gliding ride vehicle is how much space you need in order to create it. A hang gliding flying theater requires high ceilings several stories tall in order to make the mechanics work properly. With Flightcycle, you need far less ceiling height if you only want one row of vehicles. Meaning, if you own an attraction that has a limited amount of space for height, the Flightcycle can more than likely fit into existing structures where hang gliding flying theaters could not. What are your thoughts? 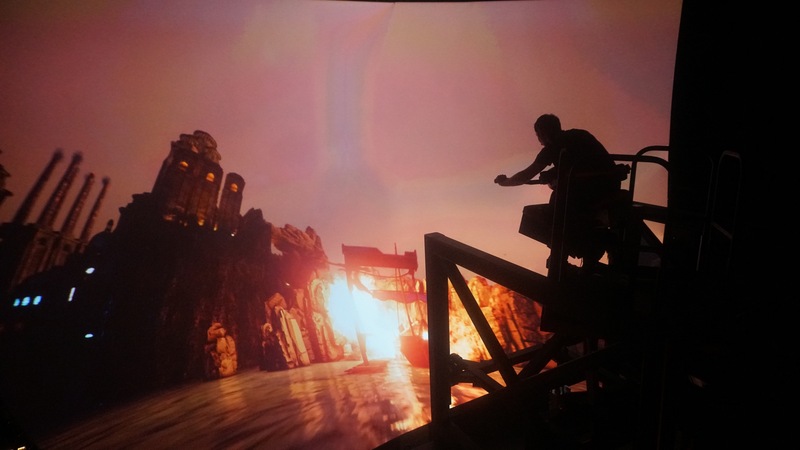 Do you think Flightcycle is the next evolution in simulators and flying theaters? Will we see more of these in the future? Looking forward to hearing your feedback. This entry was posted in Theme Parks 101 and tagged animal kingdom, Dynamic Attractions, Flight of Passage, Flightcycle, flying theater, Pandora. Bookmark the permalink. Trackbacks are closed, but you can post a comment.